"Old School, Lead Free Goodness"
When I wanted to play Ogres in a 10mm wargame and couldn't find them, an idea was born. 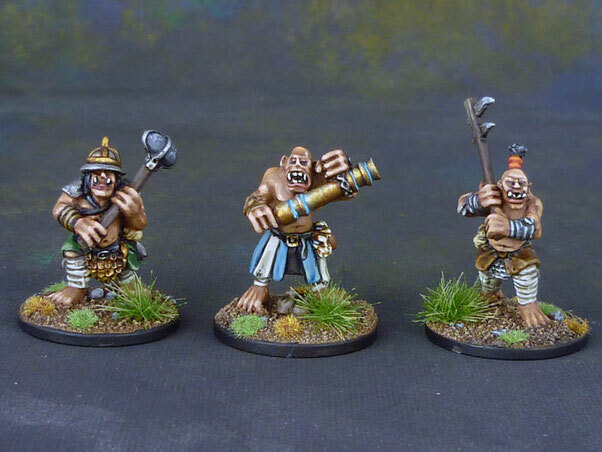 The world needed to have old school 10mm Ogres. Hand sculpted from hand drawn concept art and the cast the old school way, using vulcanised rubber moulds and a centrifugal spin casting machine. All in top grade lead free alloy. I built the army that I would want to use and through Kickstarter brought it to life! Now, as of June 2018, I have the full Ogre army available to buy in the store with free post (subject to minimum spend). 10mm Ogre miniatures that are ready to own the battlefield! Born of the need for 10mm Ogres to exists, Black Gate Miniatures went out in the world and found great artists, sculptors and painters to bring to life these fantastic chaps.